Despite the increased emphasis placed on teamwork and sharing, the business world might not be as friendly and warm as expected. 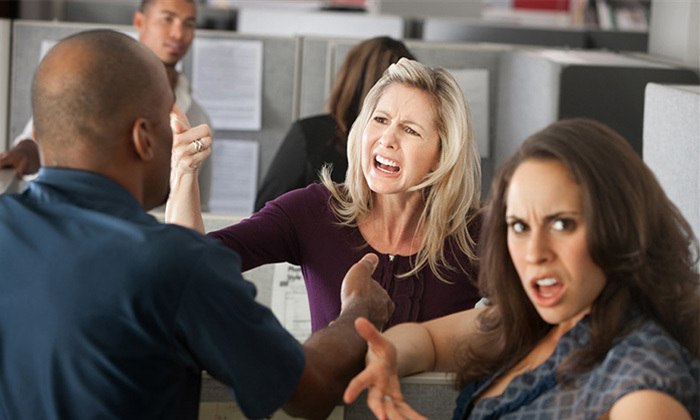 In fact, working in corporate environments could possibly make people more mean, according to a new study. A paper in the Academy of Management Discoveries found that behaviours in the context of an organisation, are different from how people behave outside the workplace – essentially, an organisational context reduces people’s moral obligation to reciprocate others’ niceness towards them. In the first two studies, participants were asked their willingness to reciprocate when a friend or acquaintance, either from work or not, has done them a favour – by inviting them to dinner and giving them a lift from the airport. In both scenarios, participants were more likely to return the favour if the person in question wasn’t from work. When given an additional scenario of a co-worker or friend extending the favour with the ability to do much more for them in the future and one who is not able to do much in the future, participants felt more obliged to return the favour to a co-worker who could do more than to one who couldn’t. However, when the person doing the favour was simply a friend, participants came out of the calculative mindset present in the work context and were surprisingly more likely to return the favour despite the absence of future gain. The remaining two studies further reinforced the idea that individuals are less likely to reciprocate when placed in an organisational or work context. Is this to say that reciprocity will never be a core feature of our working lives? The authors wrote that some organisations are more future-oriented, while others reward past contributions. “Workplaces also vary in the extent to which they utilise a business-oriented decision frame, in the extent to which they have a culture that emphasises a business-oriented as contrasted with, for instance, a relationship-oriented mindset,” they added. As HR professionals, what do you think can be done to reward niceness? Universum surveyed 8,856 university students to track the career aspirations and preferences of the future local talent pool. ..